Quite suddenly, there is remarkable oil industry news to come out of the East Mediterranean region. If the plan is executed, in the space of seven years the balance of energy security in Western Europe will be radically changed. In geopolitical terms, this will be immense; when the planned Israel-Cyprus-Greece-Italy gas pipeline is built, European countries will be able to cut their ever-increasing dependence on Russian gas supplies. The story of major gas discoveries in the East Mediterranean started in the shallow-water offshore Egypt, with Miocene Nile Delta discoveries progressively stepping out into deeper and deeper water. The first discovery was made by Phillips Petroleum in 1969, when it drilled the play-opening Abu Qir 1 NFW. It discovered gas in the Messinian Abu Madi sandstones. Subsequent exploration was led by the likes of AMOCO, BG, BP, Eni and Shell. There are now over 100 mainly gas and wet gas fields in the offshore Egyptian Nile Delta, with all production being piped onshore. The story continues to the present day, with recent large discoveries in the deeper Oligocene play, such as Salamat (2013) and Atoll (2015), alongside large Messinian discoveries including Nooros (2015) and Baltim South West (2016). The latest super-giant and play-opening discovery is, of course, Zohr in 2015 lying over 160km offshore, and in WD of 1,450m. Over 30 Tcf of dry gas was discovered in a massive Miocene-Cretaceous reef structure, on the edge of the Erastothenes Platform. Italian giant Eni is pressing forward quickly to bring this onstream, and pipe-laying from the field to shore (150 km) by the Saipem deep water lay-barge “Castoro Sei” is ongoing and should be completed later in 2017. 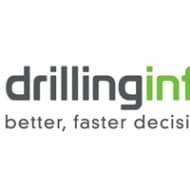 Imponderable for the moment is the possibility of oil; current well Zohr Deep 1 is targeting a deeper Cretaceous-Jurassic carbonate reef play below the gas field. The initial Zohr prospect was postulated to be oil prone. However, Egypt has a large negative energy balance, and serving the large domestic market with more gas is the number one priority. But the gas that is getting the European politicians so excited is from the Levant Basin in Israel and Cyprus. 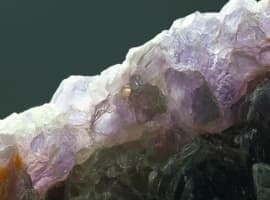 In the Israeli offshore sector, a series of discoveries has been made in waters of up to 1,500m. Noble Energy, starting its exploration in 2008, has made major gas discoveries; Tamar (2009), Dalit (2009), Dolphin (2011), Noa 2 (2011), Leviathan (2011), Tanin (2012), Pinnacles (2012) and Karish (2013). Most of the biogenic gas was found in a thick succession of deep marine turbidite sands of Oligo-Miocene age, with smaller but significant amounts found in younger, Pliocene turbidite sands. Out of the Noble discoveries, so far only Tamar and the smaller Noa are onstream, with Leviathan to follow in 2019. The Israeli government, fearful of dominance of the sector by just one player, has ordered the divestment of Karish and Tanin to Energean, a Greek company, which is in the process of farming down. In the Cyprus offshore sector to the north-west, Noble also discovered Aphrodite (2011), where the gas resource figures are most recently estimated at 4.54 Tcf. 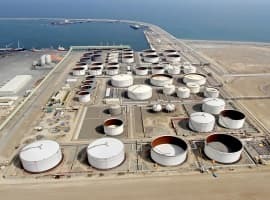 So, taken together, we now see quantities of gas to make potential export look much more attractive to offset the considerable deep water investments which will be required. Noble Energy currently cites in excess of 35 Tcf of gross resources in these two offshore sectors. The big export markets for gas are not in the Middle East; they are in Western Europe. The principal challenge is to lay a 1300km deep sea pipeline through the Mediterranean to Greece (west coast) and across the Adriatic to landfall in Italy. The European high-pressure gas transmission network (ENTSOG) can be picked up there. Alternatives have been suggested – such as landfall in Southern Turkey – but the former is preferred for many non-technical reasons. So the key revelation in this last week is that the technical feasibility of a pipeline has been passed by engineering consultants IGI Poseidon. Ministers from the EC, Israel, Greece, Italy and Cyprus signed an agreement in Tel Aviv, Israel and a time-frame of seven years is put on the project. The headline cost for a 1,300 km, 500 Bcf/annum pipeline is €5.34 billion (US$6 billion). There is also a substantial exploration upside in the East Mediterranean region, and there is a major focus of interest here. 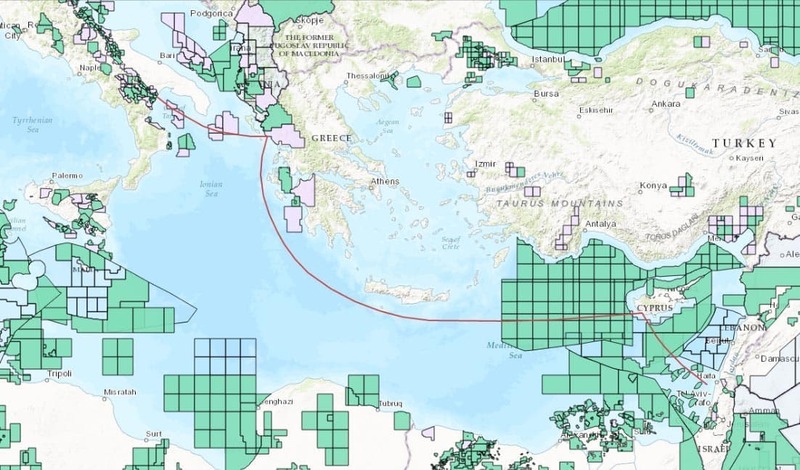 In the Cyprus sector, the Third Licensing Round has just concluded with an ExxonMobil-Qatar Petroleum JV having signed a contract for Block 10. An Eni and Total JV has successfully bid for Block 6, while Eni secured Block 8 on its own. Given that the IOCs have already acquired 3D seismic data, the time lapse to first wells should be no more than one year (a commitment given at the signing ceremony). Cyprus Minister of Energy Lakkotrypis is far more expansive, saying “a total of twelve exploration wells will be drilled in the newly licensed Blocks 6, 8 and 10.” Some of these are likely to be contingent. The first well in the area, Total’s Onesiphonous 1 targeting a Zohr-like play in Block 11, should spud this summer. Israel is currently holding its first offshore bid round and officials are hopeful of attracting major interest. Independent research found that at a best guess there were resources totaling around 6.6 Bbo and 75 Tcfg as yet undiscovered in Israeli waters. In the Lebanese sector to the east of Cyprus, the authorities are gearing up for an offshore licensing round after several years of delay. Companies are encouraged by the success with Zohr, and no fewer than 46 have pre-qualified so far. But joining the Lebanon into an export consortium with Israel is an additional geopolitical dimension, and should not be assumed. Export of gas into Western Europe can be achieved by 2020. A 48” pipe could deliver 10.5 Tcf (300 Bcm) over a period of 10-15 years. Further exploration success – which the majors are betting heavily on – could extend this towards 2050. In the case of major new exploration success in the Lebanon or Cyprus sector, one can imagine a second pipeline in a follow up phase. What is the Russian dimension? The current dependency of Europe on Russian gas exports varies from 100 percent (in the Baltic States) to 38 percent in Germany. But the biggest drawback for any East Mediterranean gas is that it must compete with relatively cheap Russian gas. It is estimated the probable landed gas price in Europe would be at least US$ 7/MMBtu. This compares with the average price of Gazprom gas in Europe in 2016 of US$ 4.90-5.00/MMBtu – a differential of some US$ 2.00/MMBtu. The intensity of competition from Russian gas in Europe is set to increase further with the proposed 1.94 Tcfg/annum Nord Stream 2 pipeline which will side-step transit fees across Ukraine and Poland. The 1,224km Nord Stream 2 pipeline which parallels Nord Stream 1 could be completed in 2019 (well before an East Med pipeline could become operational). Given the very tense political situation between the West and Russia, a reduction in this dependency – by adding the East Med as a major new gas source – would be a highly desirable outcome. The politics should drive the development of this pipeline very quickly.